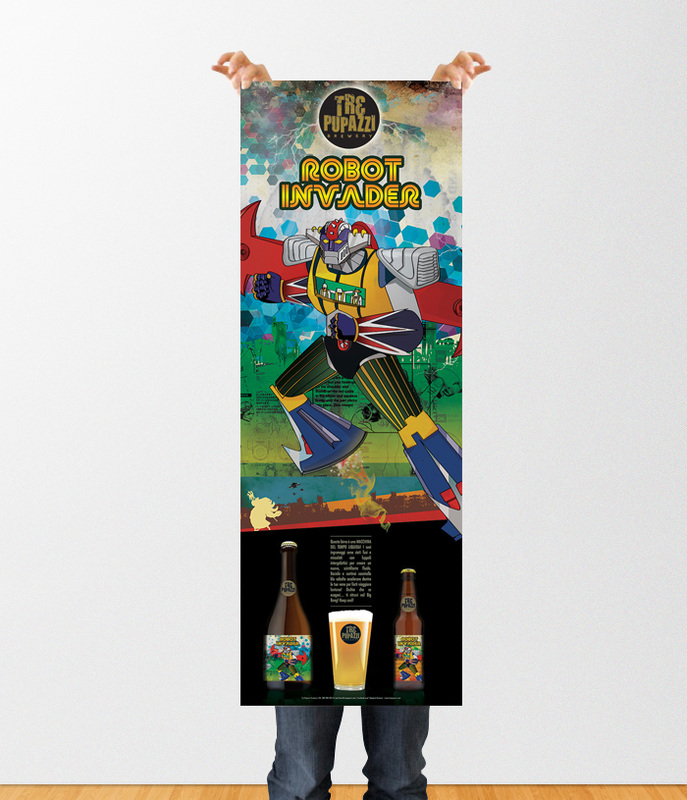 This is the graphic I did for a crafted beer sleeve, it's about old Go Nagai Robots and Beastie Boys. 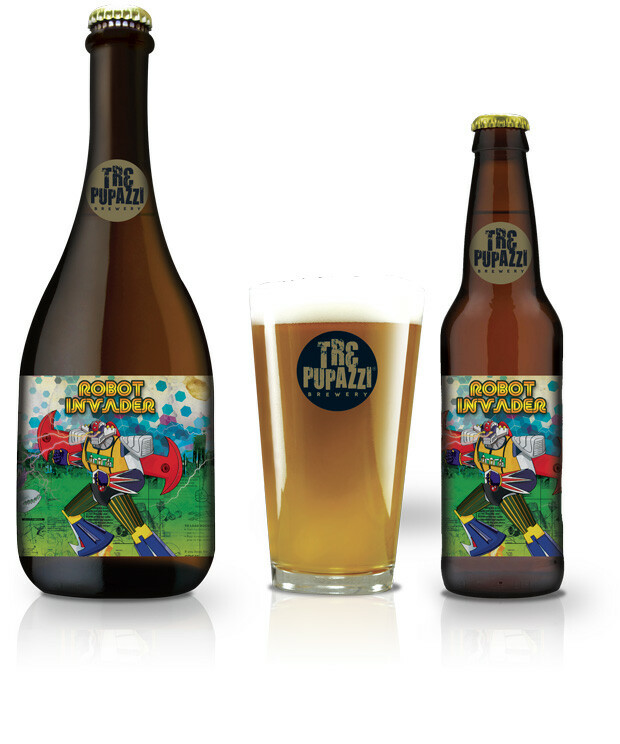 This is The second Beer Label I did for Tre Pupazzi Brewery, the concept was around all those big robots from the seventees, created by Go Nagai. I am a huge fan of him, and as a child i dreamed once to have my own freedom defender. 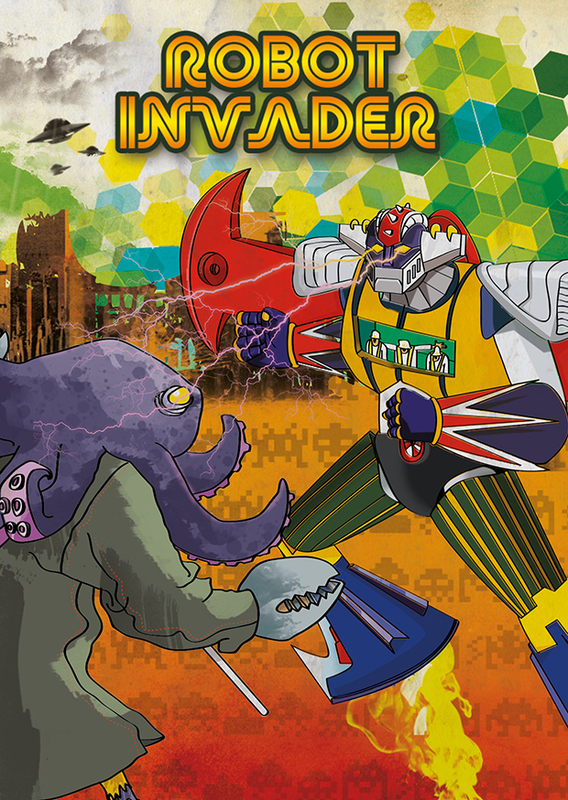 This is a mix of some of them, you should try to find which one, fighting against a famous enemy: the fish monster from intergalactic video by Beastie Boys. I am a huge fan of the rap trio, and I loved to make an homage to one of the best band around ever. I hope you'll notice the three fellas that are also driving the big robot. I drawed everything by hand and coloured with photoshop. There are two editions of the beer, with two different malts, the main difference in the graphics is about the background colors and image, on the back of the one you can notice some old robot instructions from some original toys from that era, on the second one some space invaders texture.